This brave knight is ready to stand up against any dangerous creature! 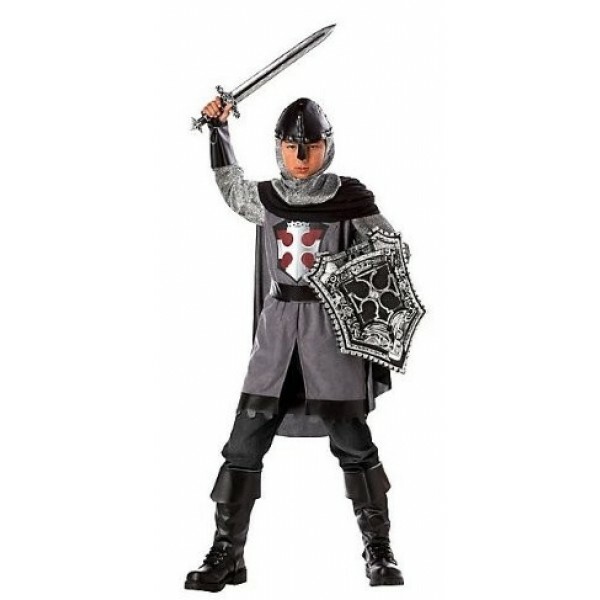 This set includes "chain mail" shirt and tunic, cape, hood, belt, and gauntlets. Please note: toy weapons and shield not included.